A preparation that bypasses the ways of the industrial era and goes back to basics: completely artisanal, it transports us to a place where we connect with nature and human processes. The first sip connects you with the psychomagic of mezcal, the second connects your friends and the third is a connection with the universe. Indigenous from Oaxaca, Angustifolia Haw (Espadin) is one of the most prized varieties of Mexico. Sun and moon contribute to the growth of our beautiful agaves. 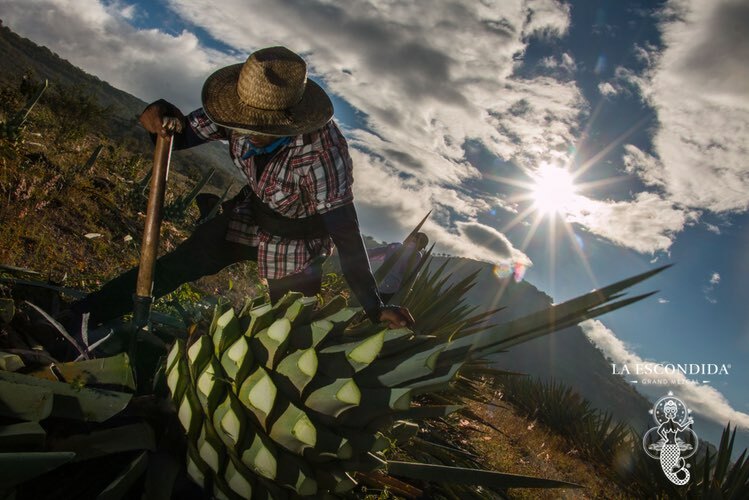 The agaves typically reaching 10 years of age are harvested by hand at maturity. A high standard selection process takes place. We prepare the ancestral pit by heating volcanic stones. Once the oven is warm enough, we load the agaves inside and then cover it with earth to get slowly roasted. Artisanal methods yield a complex and unique flavor. 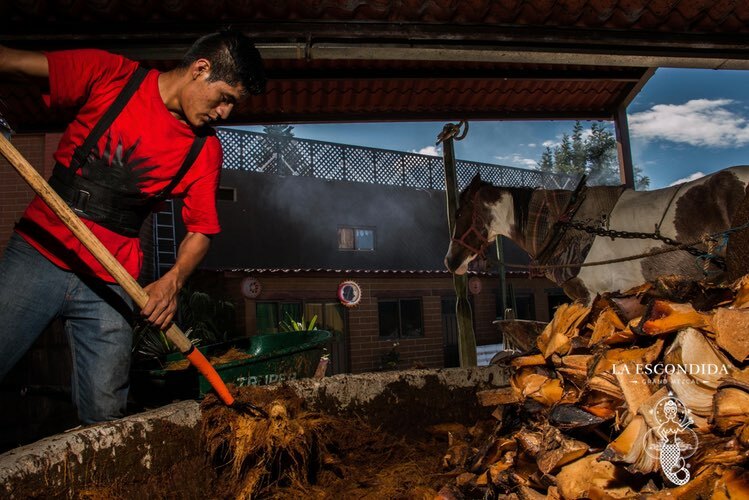 We use a large stone wheel propelled by a horse to crush the cooked agaves and take all the sweetness out. Natural fermentation with spring water from the region takes place. Wild yeast in the regions are part of the “Terroir” printing La Escondida DNA. 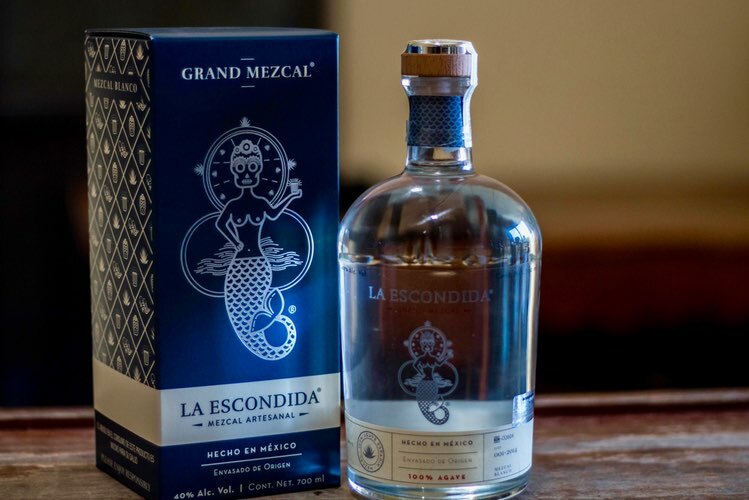 Like a sea of sensations, La Escondida leaves its unique tattoo on whoever drinks it. 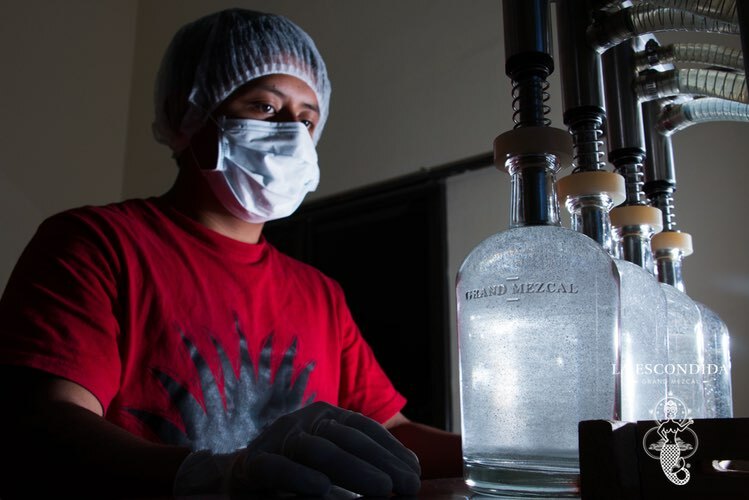 Once the agave has been harvested, cooked, crushed and fermented, it is on to distillation. Small copper alembic stills with the same shape as in 1500s are used to distilled twice adding the final notes to a Grand Mezcal. Keeping all the aromas inside a bottle is an art that we master. 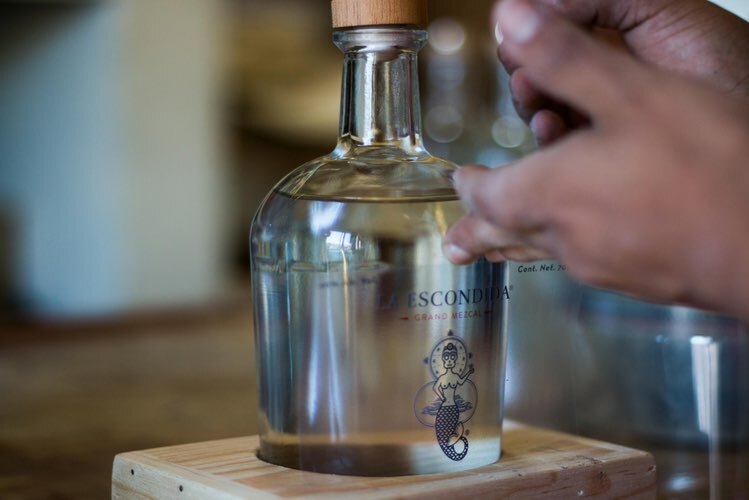 We carefully fill up every bottle of La Escondida and close it up by hand. completely artisanal, it transports us to a place where we connect with nature and human processes. The first sip connects you with the psychomagic of mezcal, the second connects you with your friends and the third is a connection with the universe. Mezcal is the common name that has been used for at least 400 years for beverages obtained from the distillation of fermented must (juice) from the piña or cooked head of an agave plant. Archaeological evidence suggests that agave has been used as a source of fibers and food for more than 10,000 years. Although agave varieties exist today in Asian and Mediterranean countries, Mexico is considered the plant's birthplace. The number of products derived from agave increased after the European arrival in Mexico. When Pulque consumption was de-ritualized under Spanish rule, it created strong incentives to increase production for common sale. Europeans began to distill other agave varieties and produced spirits that came to be known as mezcals. Between 28 and 39 species of agave have traditionally been used to make mezcal in at least 26 states of Mexico. Consequently, there are many varieties of mezcal. These vary between regions depending on the agave species employed (single or a combination), as well as the tools and processes used to make them. Tequila, bacanora, raicilla, minero, de pechuga, espadín, tobalá, tuche and tuxca are just a few of the local names used for mezcal. Differences in the processes have to do with the different containers (clay, wood, logs, leather, glass, rock and copper) and additives (meat, fruit, insects and spices) used for fermentation, distillation and aging, which vary in accordance with each tradition. 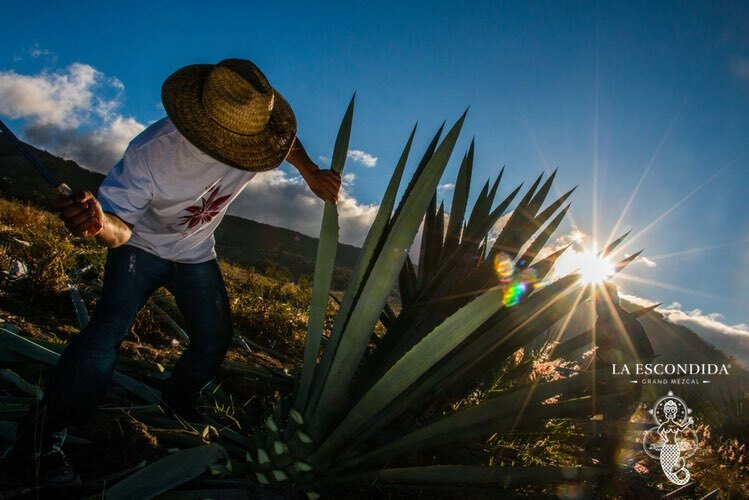 La Escondida was born in Santiago Matatlán in Oaxaca, one of the main regions for mezcal production today.